Whether you're in northern Finland, the Japanese countryside or Lake Tahoe, look around and you'll quickly spot an A-frame home. No form of architecture is more evocative of nature than the A-frame home. 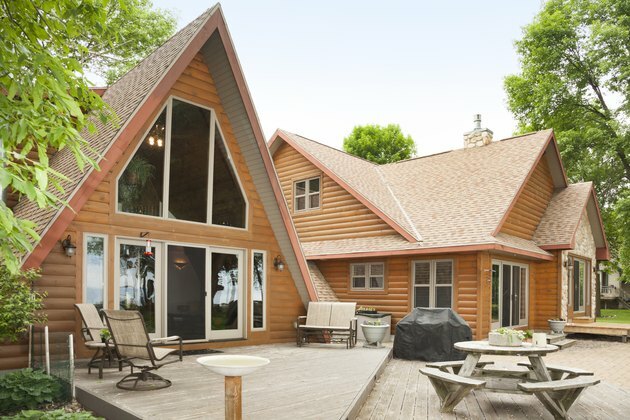 Whether its peak replicates pine trees surrounding it or the mountain summits that likely aren't far away, there's just something about an A-frame home that is suited to vacation homes. Maybe that's why this perennial classic continues to get reinvented decade after decade. Look at a capital "A," and that's exactly what an A-frame home in its purest sense should look like. Today's interpretation of the A-frame can be a little wonky, as architects clutch to the well-loved name and assign it to structures that have a bit of a downward slope on both sides and a symmetrical peak while taking liberties elsewhere. Dismissing the modern loosey-goosey interpretations, the purist form has a steep peak and a long, sloping yet symmetrical roof on both sides, which can extend almost all the way to the ground. The modern A-frame home was inspired by architect R.M. Schindler's design for a client, which was erected as a cabin in Lake Arrowhead, California in 1934. Two decades later, postmodern America was gobsmacked by the effortless cool of Andrew Geller's Sagaponack, New York design of an A-frame beach vacation home. With that, Americans fell in love with the look and the seeming ease of building this simple, clean structure. Easy it was – so easy that companies sold plans big and small, and 65 years ago, Lindal Cedar Homes took it in a new direction, offering a patented A-frame chalet construction kit. Of course, the downside of modular homes is that what was once a shockingly innovative and clean design seemed omnipresent and no longer original as it dominated ski villages and lakeside resorts. A-frame homes are easily scalable. Recently, Country Living Magazine featured a couple who managed to design a gorgeous 80-square-foot guest house for just $700. Grand, jaw-dropping A-frame homes are possible too, with multiple floors and cathedral-like pitched windows with their typical open floor plan. It's easy to install a wall of windows at the front of an A-frame house. Angled right to capitalize on the sun's trajectory, it can be a bright, beautiful, open space to inhabit. It's still easy to build It's a breeze to buy plans or even a prefab kit for building your own A-frame, whether you're doing a tiny home or building a large, spacious vacation retreat. Such plans and scalable designs make it an affordable, popular home style even now. Those steep, pitched roofs are both the blessing and the curse of the A-frame. They're brilliant at shunting heavy snowfalls, especially with metal roofs, which is why no form better epitomizes the shape of a ski chalet, and they also buffet wind well on seasides. However, all that roof surface can be an energy sieve if it's not well-insulated and properly clad. Plus, it's an expensive roof to replace when that time comes. Another frustration that comes with those pitched roofs is the obvious sloped interior walls they create. This makes it tough to decorate. How do you hang artwork or position furniture to best capitalize on those angled walls? How much do you lose when comparing vertical living space to the actual floor plans, and is that a cost-effective form of architecture as land and homes get ever more expensive? Layout problems aside, the reality is that with their ever-updating form and style, the A-frame home is going nowhere fast.